Deadpool 2's X-Force Team Introduced by Peter W.
Deadpool 2’s X-Force Team Introduced by Peter W.
Following the recent IMAX promo for Deadpool 2, new mortal fan favorite Peter W.’s (played by Rob Delaney in the sequel) official Twitter account began posting details about the other four members of Deadpool’s mutant X-Force team. Peter W., whose Twitter bio reads: “Husband. Experienced Apiarist (Beekeeper). I like sports and grilling on my deck,” offered a few details on each X-Force character. As we close in on the Deadpool 2 May 18 release date, there’s no telling what other surprises and shenanigans Deadpool and his team will have in store for us! Ryan Reynolds is reprising his role as the Merc with a Mouth alongside Zazie Beetz as the luck-manipulating mutant Domino and Josh Brolin as Cable, the time-traveling son of the X-Men’s Cyclops. Jack Kesy (The Strain, Baywatch) is playing the film’s central villain, which, while unconfirmed, is rumored to be Irish mutant Black Tom Cassidy. 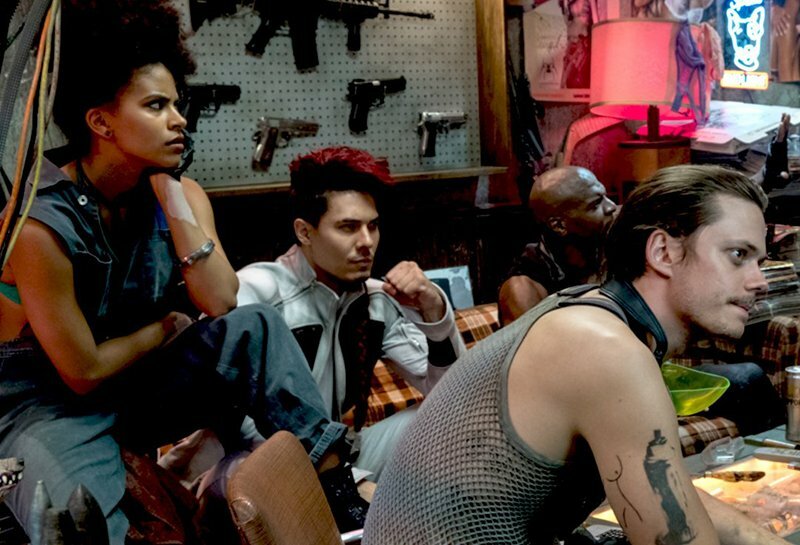 Other additions to the cast include Shioli Kutsuna, Terry Crews as Bedlam, Lewis Tan as Shatterstar, with Bill Skarsgård, and Julian Dennison (Hunt for the Wilderpeople). The film’s “official synopsis” doesn’t offer much about the plot of the film, but reads: After surviving a near-fatal bovine attack, a disfigured cafeteria chef (Wade Wilson) struggles to fulfill his dream of becoming Mayberry’s hottest bartender while also learning to cope with his lost sense of taste. Searching to regain his spice for life, as well as a flux capacitor, Wade must battle ninjas, the yakuza, and a pack of sexually aggressive canines, as he journeys around the world to discover the importance of family, friendship, and flavor – finding a new taste for adventure and earning the coveted coffee mug title of World’s Best Lover. Other stars returning from the first Deadpool include Leslie Uggams as Blind Al, Morena Baccarin as Vanessa, Brianna Hildebrand as Negasonic Teenage Warhead, Karan Soni as Dopinder, and Stefan Kapicic as the voice of Colossus.